It seems like forever since I wrote any entries in this blog. Finding the time to do so has been extremely difficult. Today I took the day off from work to take care of some personal business, which turned out to be faster than expected. This left we with some extra time that I’ll devote to my TF blog. Here are the purchases for November of 2014. Cosmos is a figure I wanted for some time now. Back around either 2009 or 2010, Hasbro made some legend size figures as remakes of G1 Minibots in the Classic 2.0 lineup. I managed to find them all, except for Cosmos. He was the rarest one of the bunch, and scalpers wasted no time jacking up his price to around $50. No way I’m paying those prices for a tiny legend figure. So when I heard of this Cosmos, I had to get it. I never had the Classic 2.0 figure, but I’m willing to bet this Generations Cosmos is better in every way. The Generations figure is slightly larger, transformation is quite remarkable for a toy of this size, and he looks all around better than his Classic 2.0 counterpart in both modes. 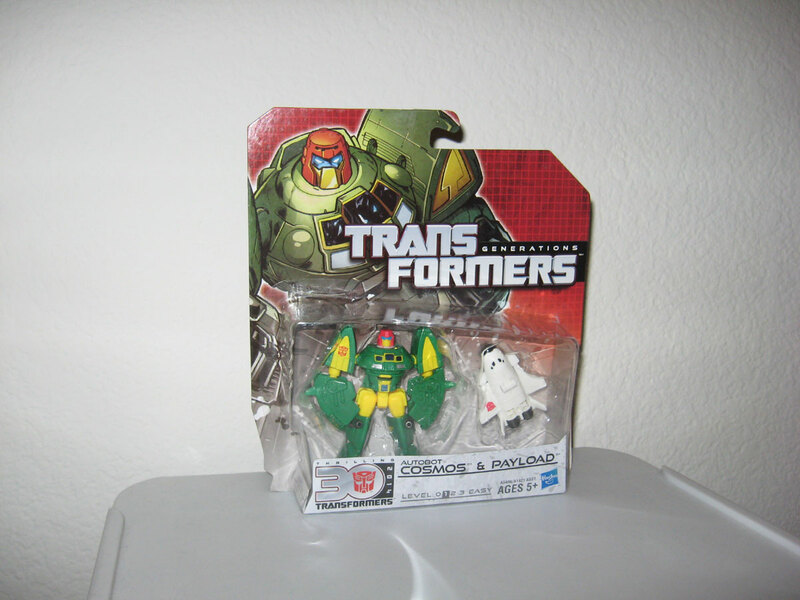 At around $10 he also comes with Mini-Con Payload. All in all a very nice deal for the price. I believe this should be the last of the Age of Extinction figures in my collection. AoE figures as a whole is a sorry lot. Hot Shot is a testament to that sentiment. I was told repeatedly not to buy AoE Crosshairs. Hot Shot is a exact repaint of the mold, and now I know why. His robot mode is awful. There’s so much kibble hanging off the back it’s ridiculous. Even the slick car mode won’t save this atrocious figure. 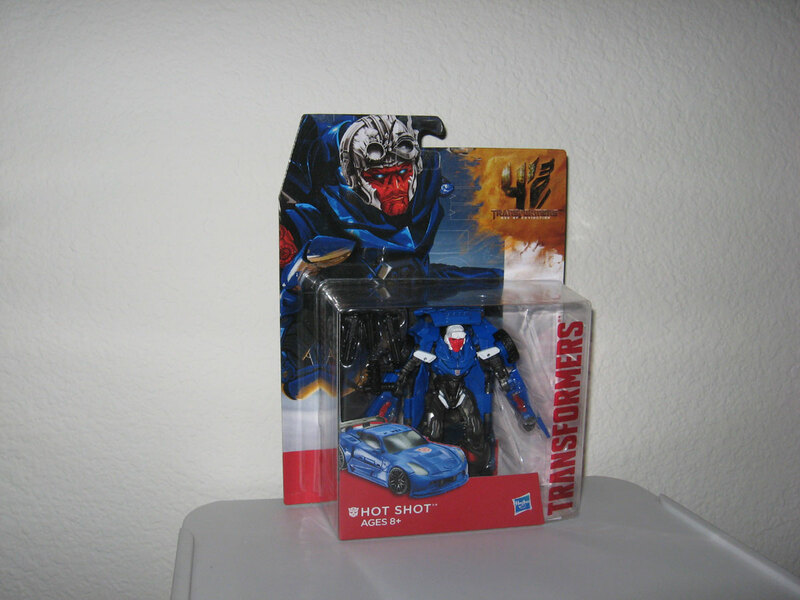 I bought Hot Shot because he reminds me so much of Tracks. I’m willing to bet that’s what Hasbro was counting on, and I fell for it head first. There are some bright spots in the AoE lineup (such as Evasion Mode Optimus Prime, Hound, and Drift), and Snarl is one of them. 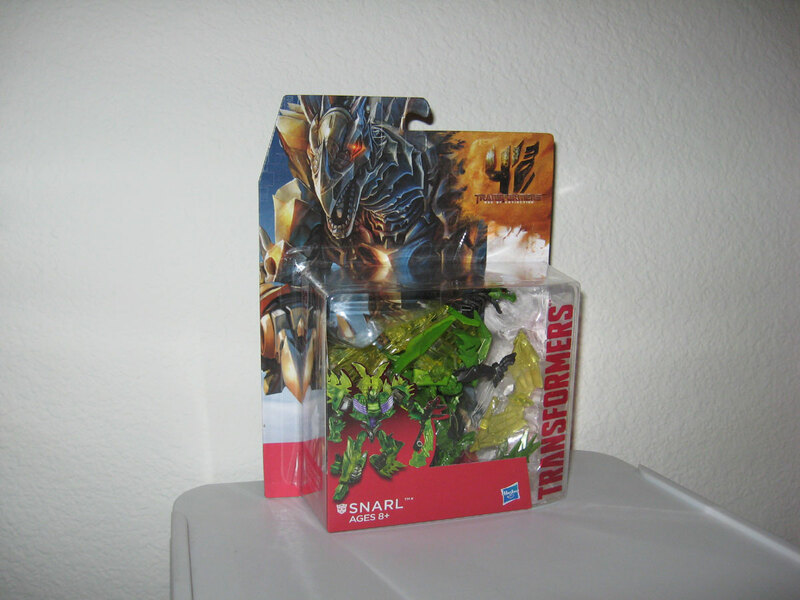 This is one of the better Dinobot figures out of AoE. I like the Dino mode, I like the robot mode, and transformation is fun. I don’t much care for the neon transparent green, but the mold itself is well engineered. 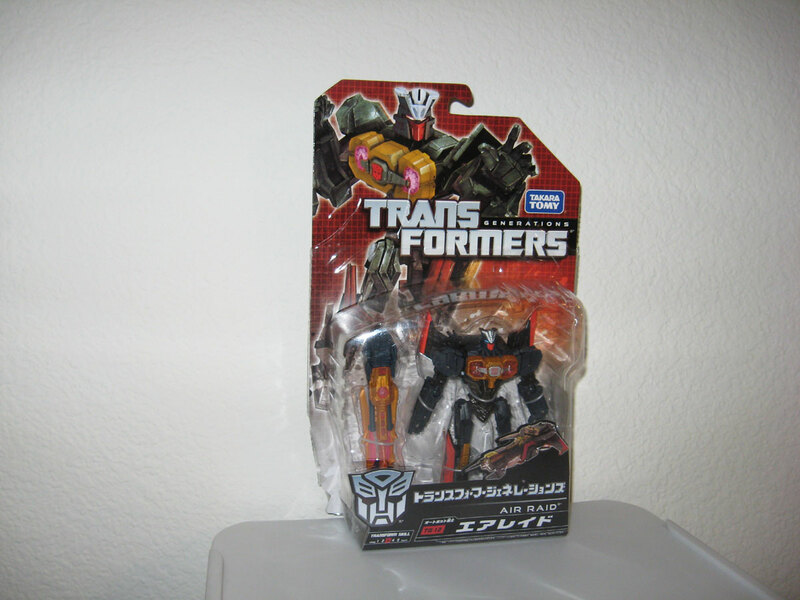 There’s probably some kind of convention exclusive out there that has this figure repainted in G1 colors. That would make this fig even better. I have written about this Japanese Air Raid, nearly a year ago. I can’t believe I’m so behind on documenting the Transformers for every month. Anyways, this Air Raid was bought during Black Friday weekend of that year. The Japanese version is much more closer to G1 colors than the US version. And getting a Japanese deluxe size figure for only $17 is a steal, so getting this was a no-brainer. Though I will say that the construction of this figure doesn’t seem to be as sturdy as the US figure. 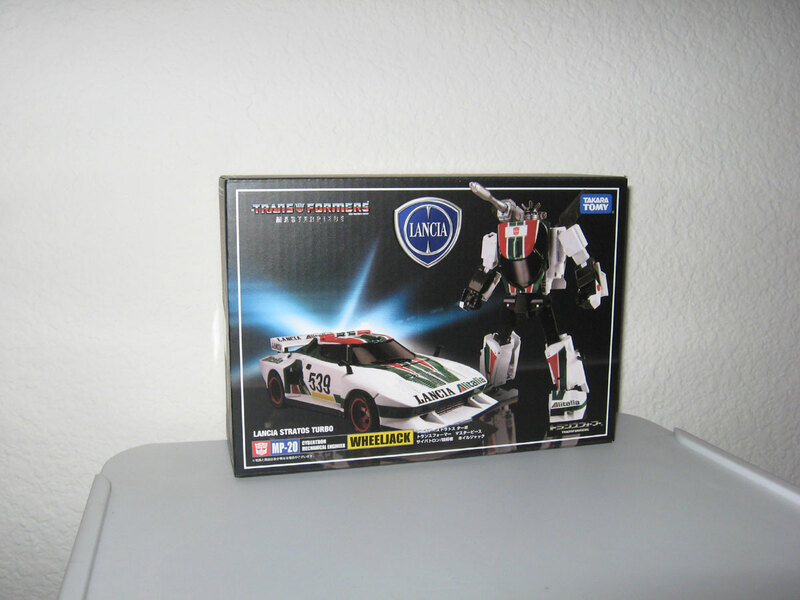 Last but not least, there is Masterpiece Wheeljack. This is a figure that deserves the Masterpiece label. Takara set the var very high when they released Masterpiece Sideswipe. I am completely satisfied with that figure. The 2nd mold they released was for Prowl/Streak/Smokescreen. That figure is nice too, though not as good as Sideswipe in my opinion. Wheeljack is the third mold in this series. Takara managed to capture all the things they did right with Sideswipe when they produced Wheeljack. Transformation is ingenious, and construction is solid. The alt mode is something Lancia felt very comfortable in putting their logo on, and the robot mode is G1 show accurate perfection. Great poseability and great playability. This piece is every bit as good as MP Sidewsipe. Do not call yourself a true TransFan if MP Wheeljack is missing from your collection. More to come soon… Transform and Roll Out!